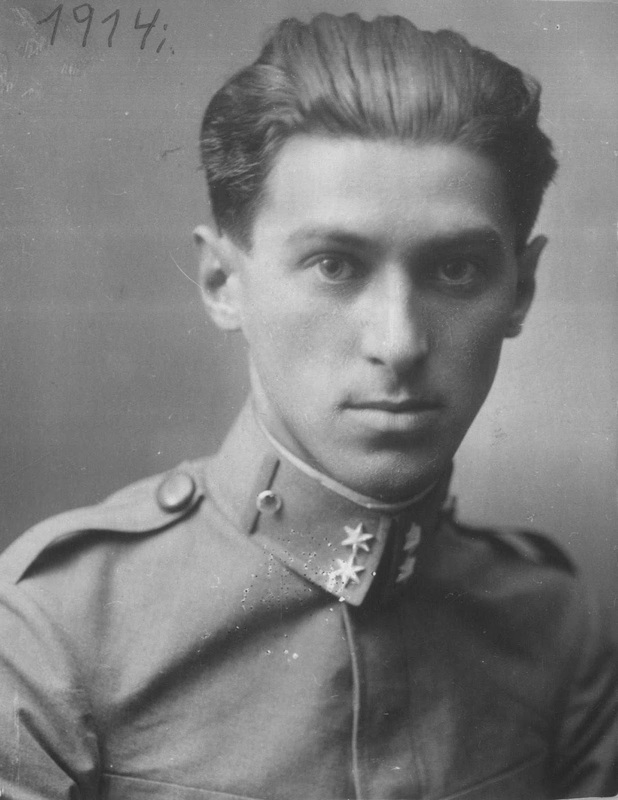 Miloš Crnjanski was born in Csongrád (Hungary) in 1893. He moved soon with his family to Timisoara (Romania) and grew up in a Serbian patriotic atmosphere. We can easily figure out that he is under special observation immediately after the Archduke's assassination in Sarajevo. In fact he was initially persecuted but lately sent by the government of Wien to the Galician front, in the summer of 1915. He was forced to leave the comrades for pneumonia and spent quite a long recovery period in the military hospital of Wien. After this time he took his place in the second lines, as telephone operator in a railway station. He published his first anti-war poems in the middle of the European havoc and carnage. In 1917 he attended the school for reservists and was assigned to the supreme command of the Austro-Hungarian army in the Friuli region, precisely in San Vito al Tagliamento (Northeast Italy). He wrote more than one poem dedicated to the experience of war and he also kept diaries (we remember The Diary of Čarnojević). The poem we propose today is not far from resembling the missing manifesto of "Sumatraism" and was written after the war. It's an interesting example of the poetry that was conceived after the disaster, a frequent situation we may find everywhere, with different tones and expressions, in the aftermath. Crnjanski's most renowned and translated work is Migrations ("Seobe"), which is also considered his masterpiece. He died in Belgrade in 1977. Now we are carefree, tender and airy. instead of it, all in red, is flowing! like, from my distant homeland, cherries. and icy mountains, with our hand.